The tournament was going well and I had Qs Ks 6d 6h. Basically, the opponent did not want to believe that I had the nut low plus something and I wanted to force him to give up playing for only 25-50% of the pot, but it went bad and ending up allin on the turn, he hit one of his 8 outs. Shortly after, I was eliminated with Ts Ac Qc 4c. I don't remember what happened in this one and I didn't keep any notes of the hands, but it didn't go well. I wrote in my blog that I would play the fixed-limit tournament, but I was mistaken, the plan was to play the event #35 $215+r and that's what I did. 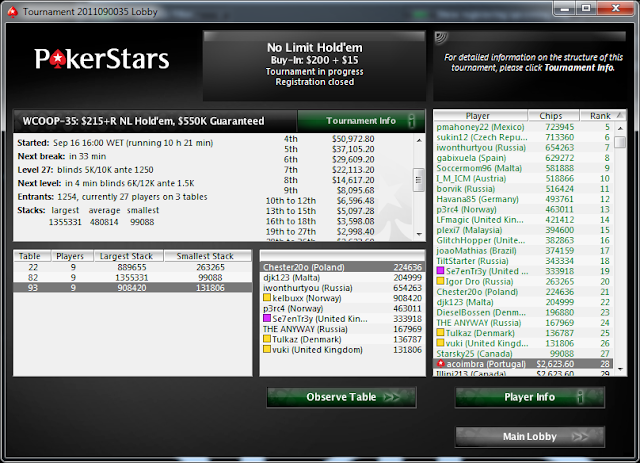 I ended up doing 5 rebuys and 1addon, that started with some bad luck with my Qd As and later with 9s As. Later on, I played for some long hours, and reaching the bubble I had a very difficult decision with Qc Ac, cause there were only 3 players left to lose so that I'd make it into the money. I spent some more hours playing and I got the badbeat of the century with Ac Qh. A few hands later, I lost with Th Td. I felt obligated to make this comment, cause there's a euphoric wave of young people playing MTTs, when they don't have any idea what they're putting themselves into. Obviously among all of them, the majority is not going to have significant results and only a small percentage that not only consists of the elite, but is also on the right side of the variance, is going to successfully "survive" on the short term (1 year for this case). If I made a couple more ITMs it would be great! Somos do CEDUP da Universidade do Porto, e gostavamos de entrar em contacto contigo. Podes nos fornecer o teu email ou outra via de contacto? Hey, I love this article thanks, I’m thinking of starting to play zynga poker game. I noticed that you mention about strategy but don’t say much about it. 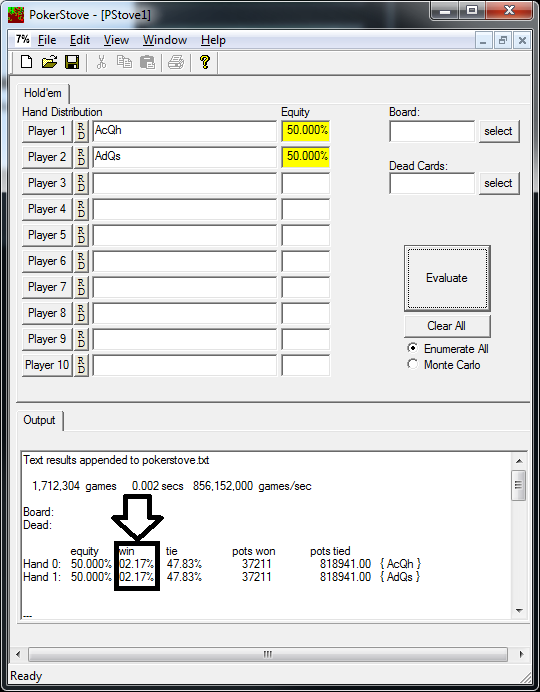 What do you think about zynga poker strategies? I keep reading reviews about it but I can’t make up my mind because if the price for it. After reading this review I can kind of justify with you. If you could please check https://casinozynga.com/ I would love an opinion of zynga poker expert. I just want to know If you think that’s a good idea.